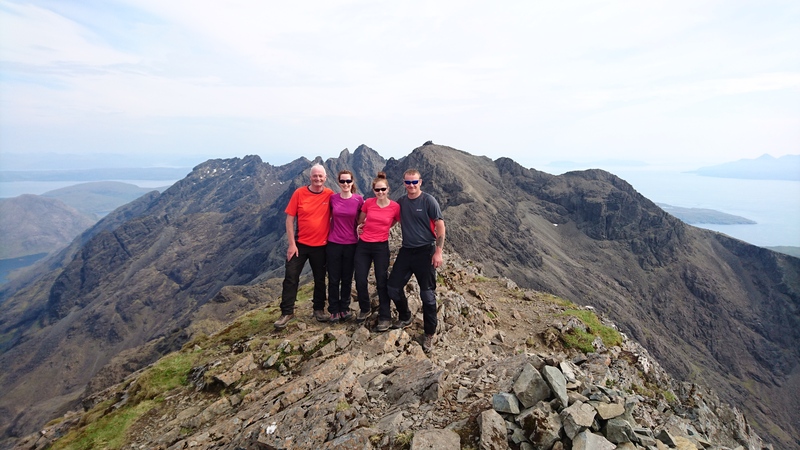 Its been another busy week on Skye with more stunning weather and plenty of success for everyone. 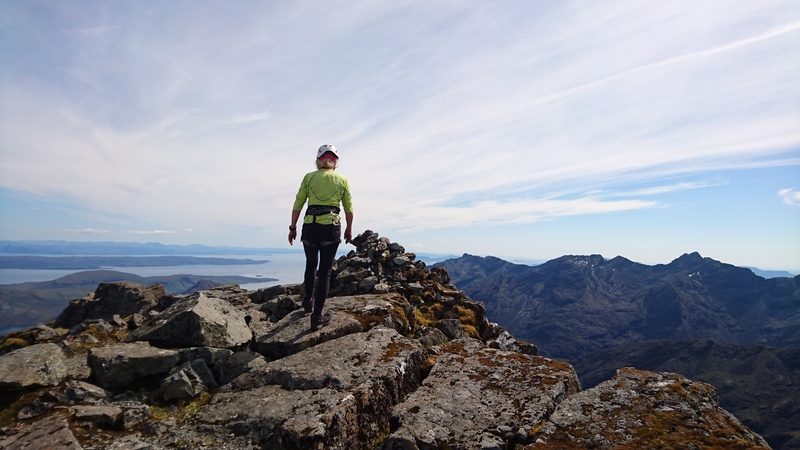 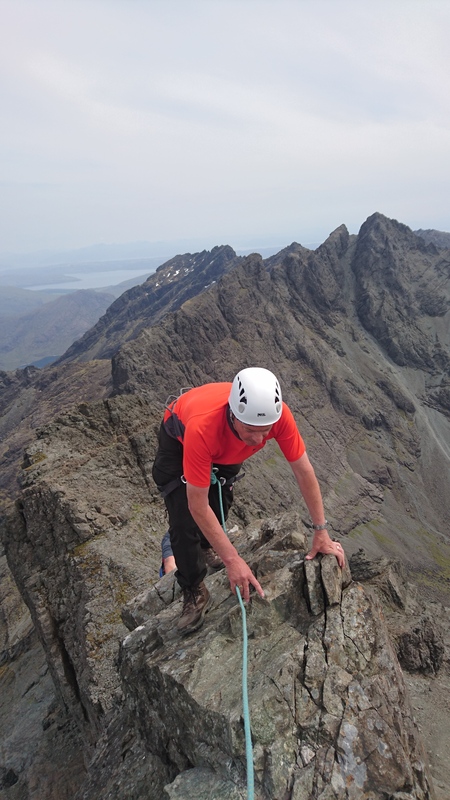 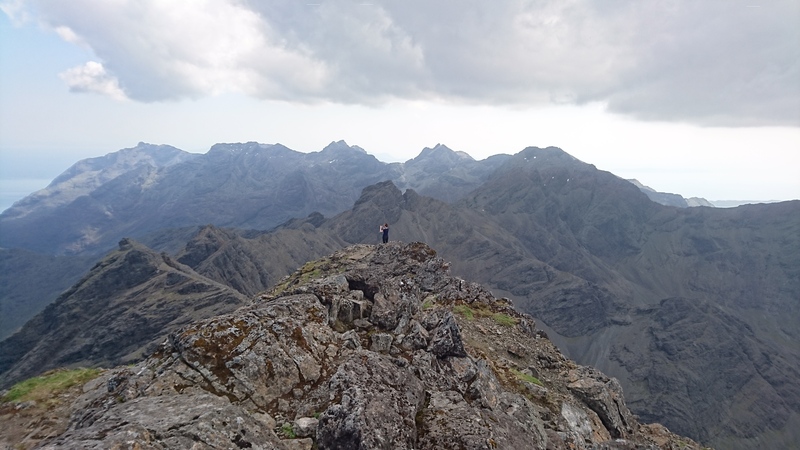 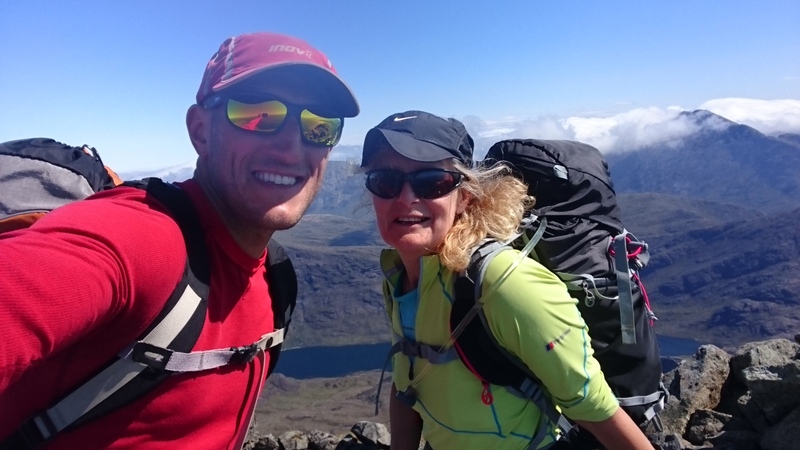 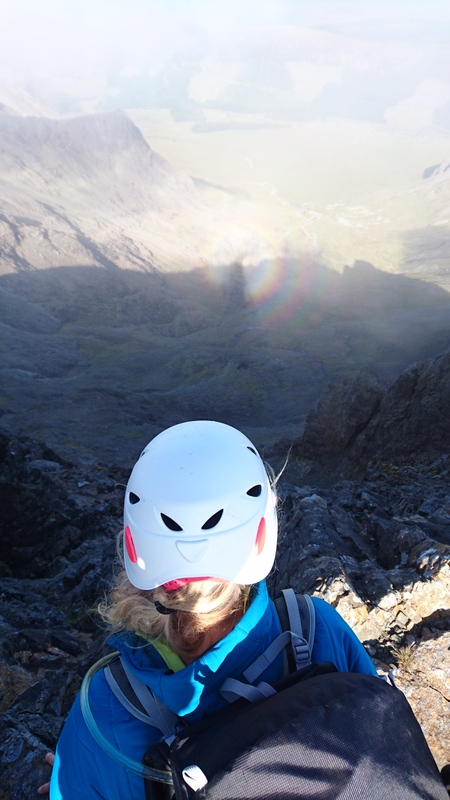 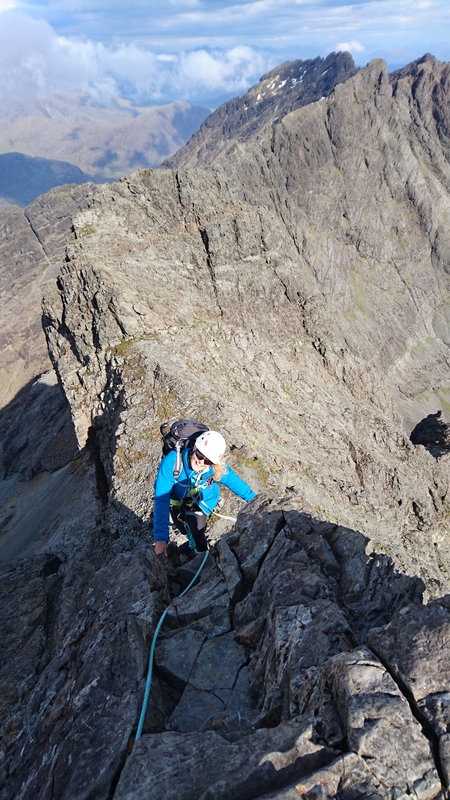 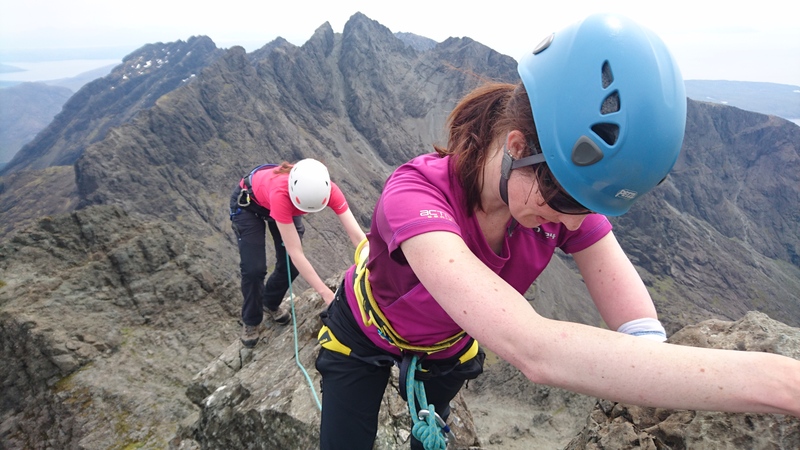 Last Wednesday I met up with Anne who was back for her second shot at completing a Cuillin Traverse after getting seen off last year due to terrible weather. 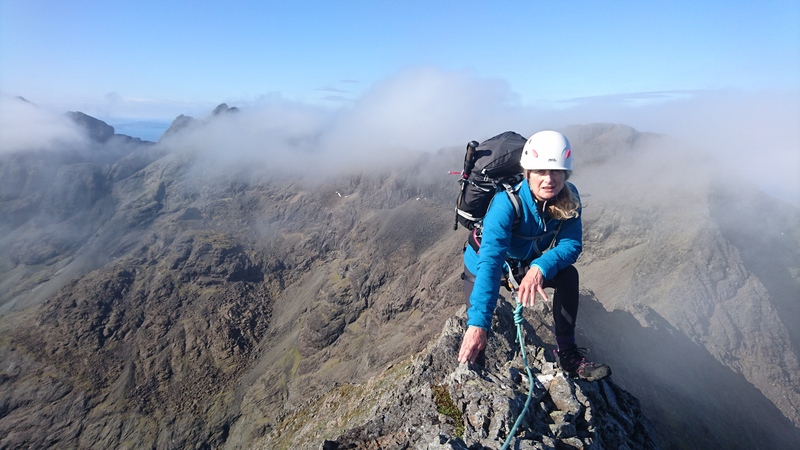 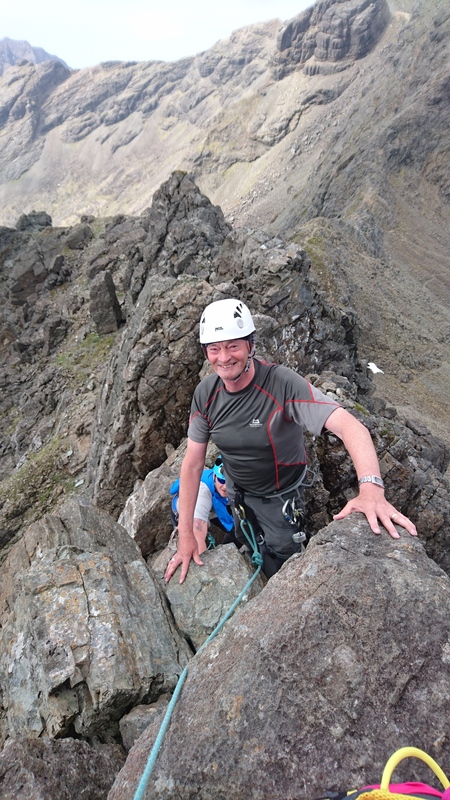 This year we were blessed with bright sunshine and a cooling wind bringing perfect conditions however; we did endure a wet and windy bivi at Sgurr a Banachdaich where we were accompanied by Anne’s other half Mark. 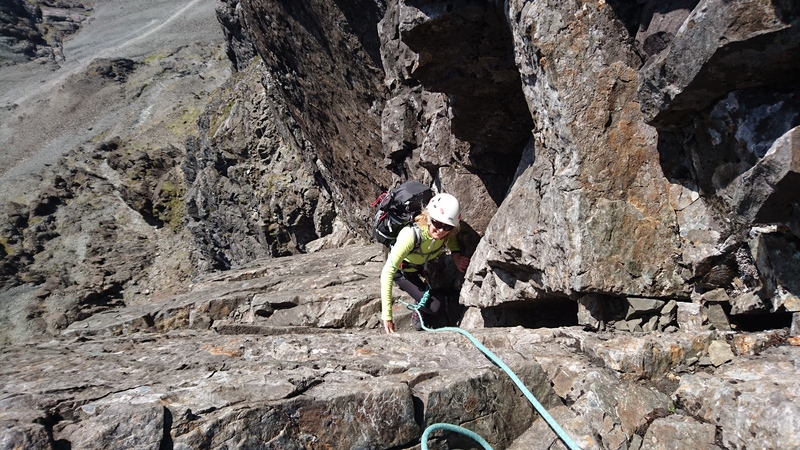 There were a few ups and downs along the way such as our bivi stash being raided by vermin, weather forecasting suggesting a stormy second day and some debate as to whether to carry on or not but thankfully Anne held out and completed all the climbs and Munros along the traverse in good style. 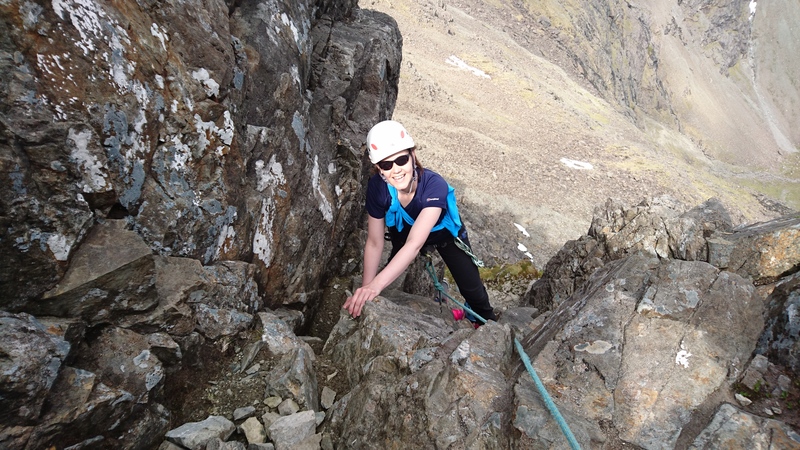 Well done Anne! 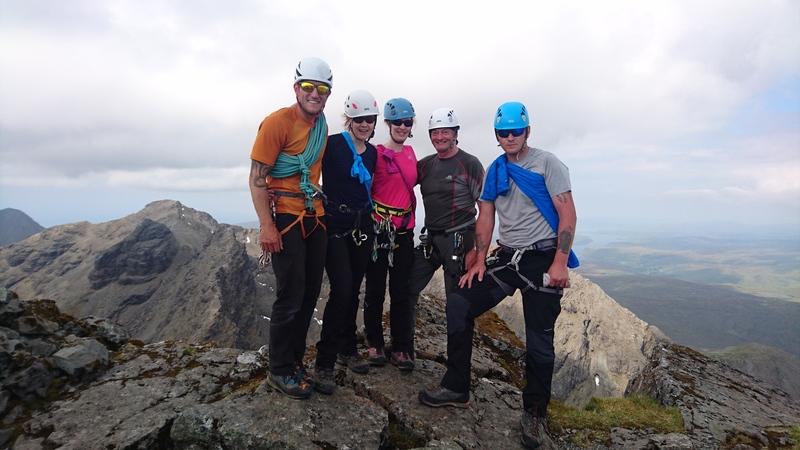 Next up were Jim, Dave, Jenny and Heather from the West Lothian Mountaineering Club. 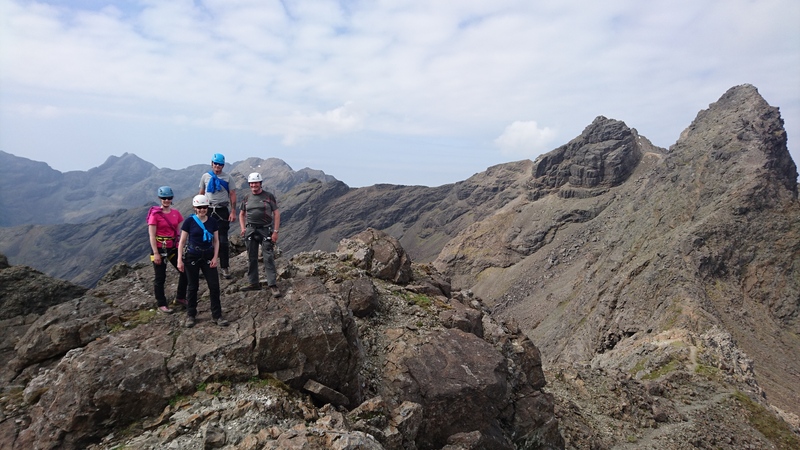 The main objective was the Inn Pinn followed by further Munros the second day depending on energy levels and weather. 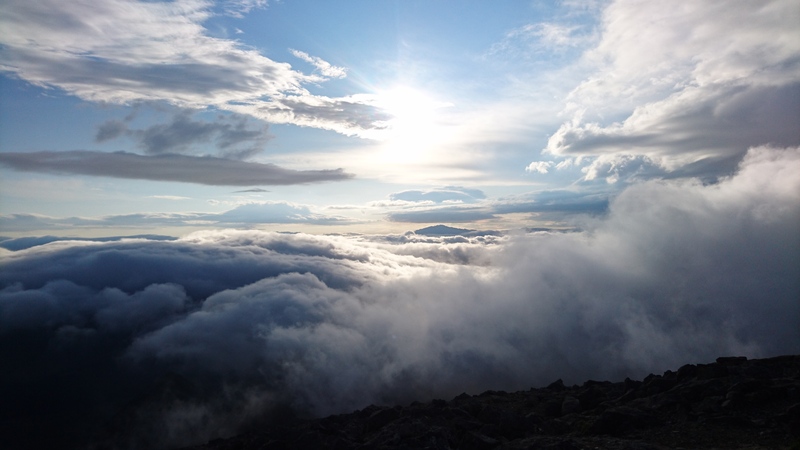 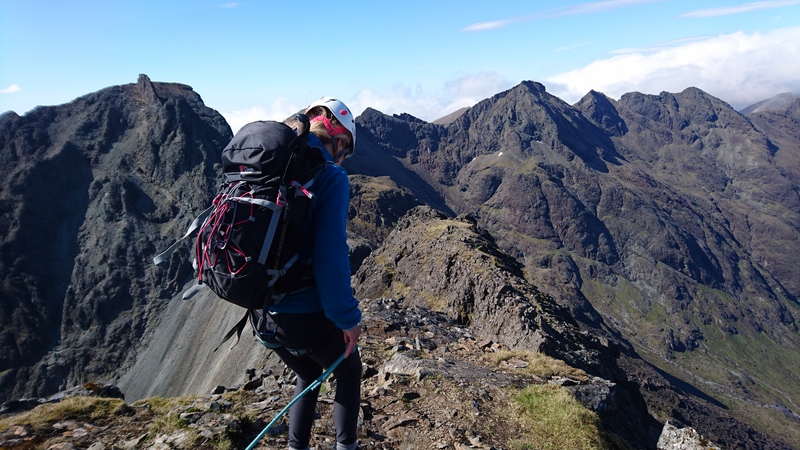 Thankfully it was to be another excellent weekend of weather enabling us to summit The Inn Pinn, Sgurr a Banachdaich, Sgurr an Gillean, Am Basteir and Bruach na Frithe. 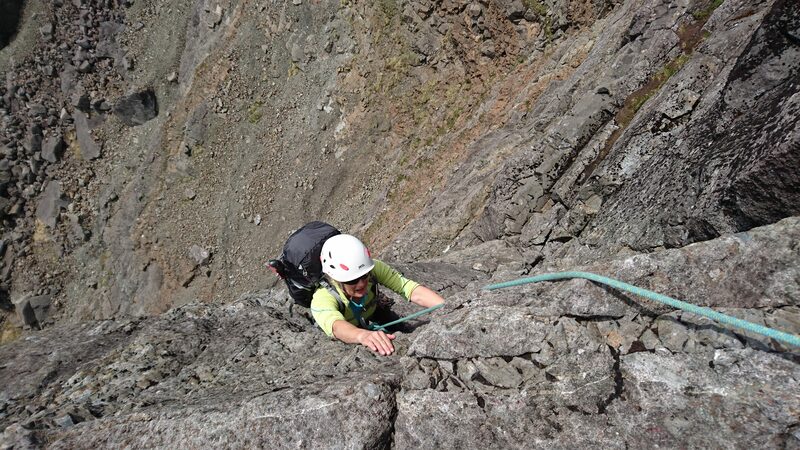 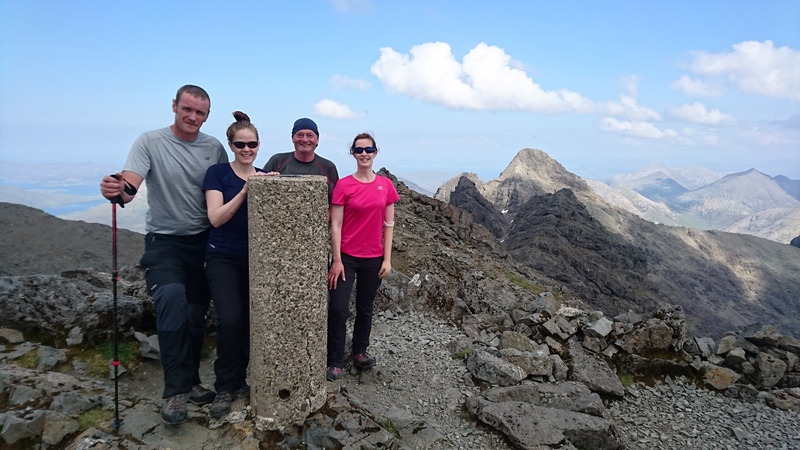 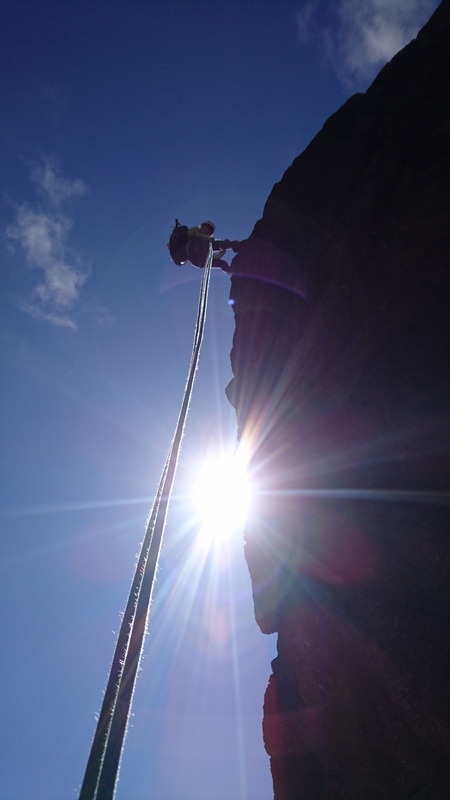 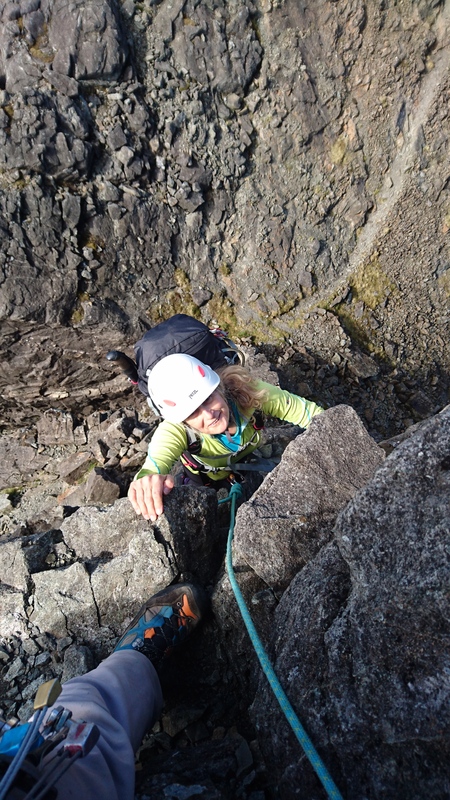 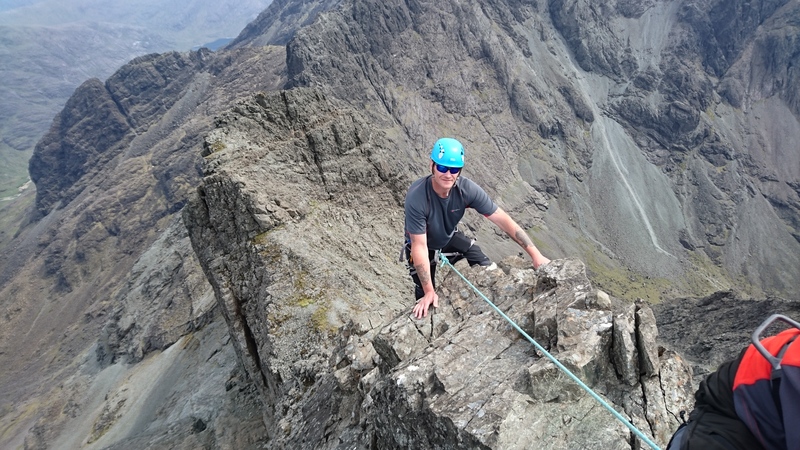 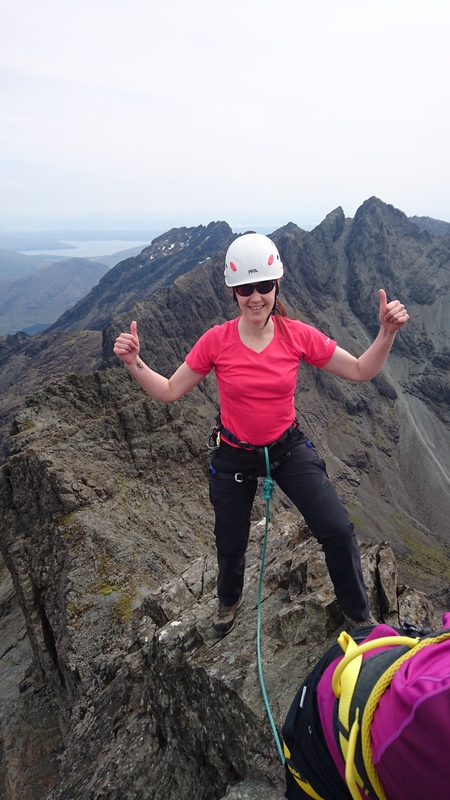 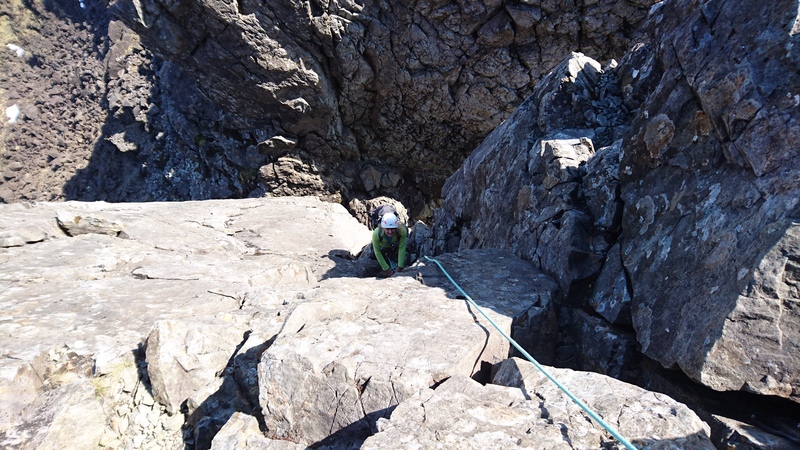 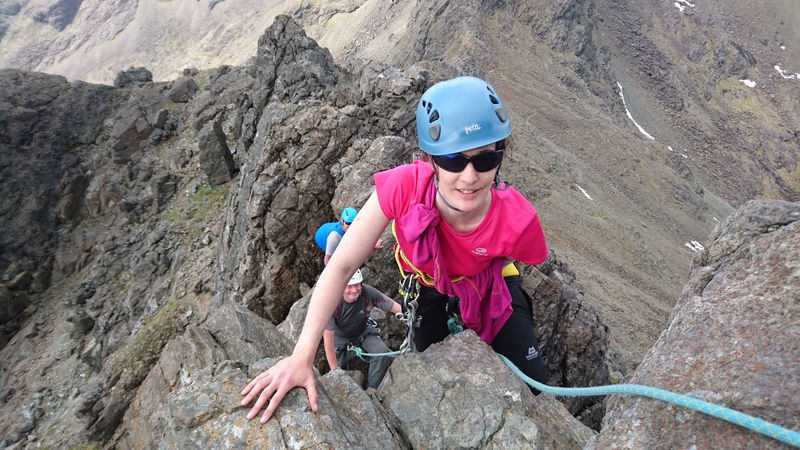 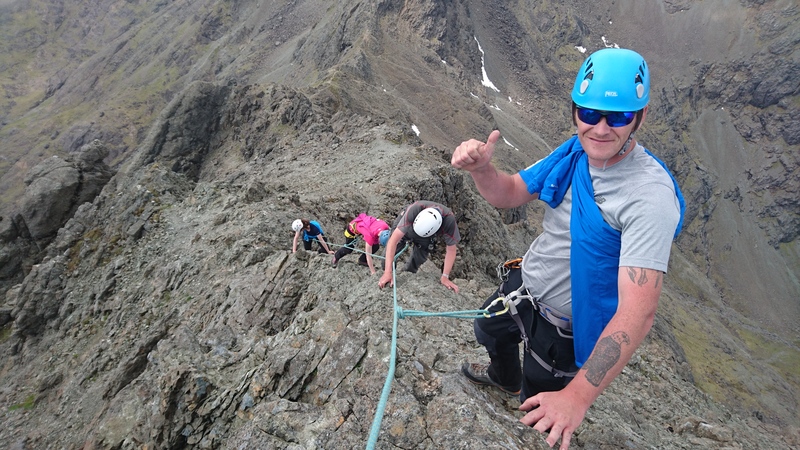 I witnessed some amazing achievements from all of them over the weekend but my overriding admiration was for Jenny who managed to master the Inn Pinn with just three points of contact – amazing! 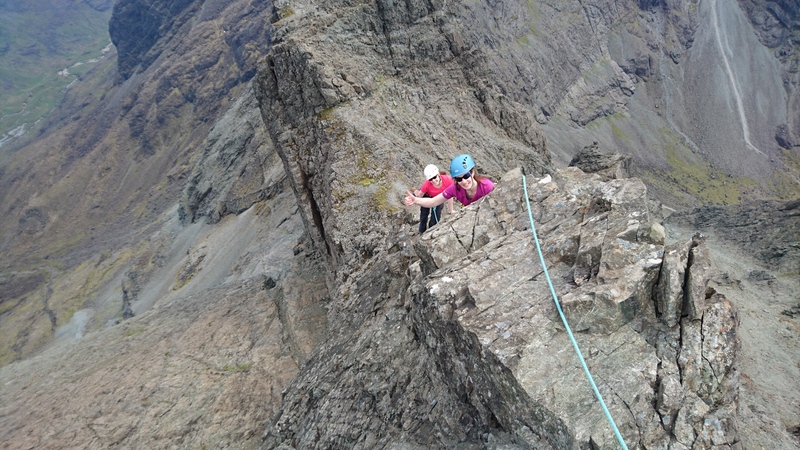 Girl power on the Inn Pinn!